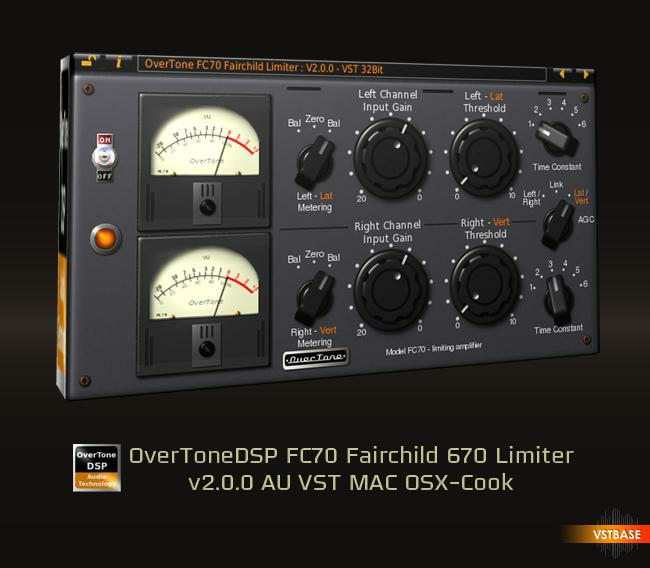 First developed for linux audio workstations, the FC70 is now available as a Windows / Mac VST and Mac Audio Unit. The FC70 emulates the legendary smooth, effortless dynamic control and uniquely musical character of the classic Fairchild 670 limiter. balanced design, combined with innovative delay-free feedback topology to emulate the original circuitry. The sidechain includes the fast attack and program dependent release settings of the original, combined with Lateral / Vertical, Independent and Linked stereo channel modes. Requires Mac OS X v.10.5 or later. An AudioUnit (cocoa UI) or VST (32 or 64Bit) compatible host.